Celebrating the life of Warren LeRoy Bock, Jr.
Be the first to share your favorite memory, photo or story of Warren. This memorial page is dedicated for family, friends and future generations to celebrate the life of their loved one. Obituary for Warren LeRoy Bock, Jr.
Rev. 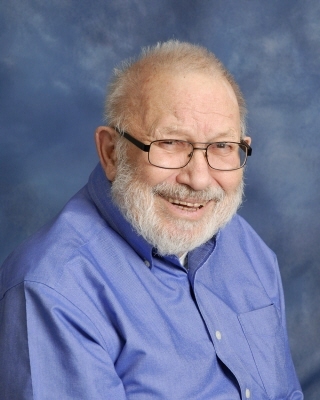 Warren LeRoy Bock, Jr., age 80 of Southern Pines, NC passed away on Sunday, February 3, 2019 at his home in Southern Pines. Born on June 9, 1938 in Fairmont, WV, he was the son of the late Warren LeRoy Bock Sr. and Virginia Hetzer Bock. Warren graduated from Fairmont High School, Wheaton College, and Louisville Presbyterian Seminary where he obtained a Master of Divinity. He served as a pastor of several churches, most recently at Ebenezer Presbyterian Church in Coats, NC and as a Pastoral Associate at Kirk of Kildaire Presbyterian Church in Cary, NC. Upon his move to Southern Pines, NC, he attended Brownson Memorial Presbyterian Church. He is survived by his son, Warren LeRoy (Lee) Bock, III and wife Sarah of Vienna, VA; his daughter, Melody Joy Thomas and husband BJ of Southern Pines, NC; his step-daughter, Elena VanderMolen de Garcia and husband Giovanni of Antigua, Guatemala; his step-son, John Robert Miranda and wife Jessa of Massachusetts; his sister, Rev. Linda Kay Stone of Burlington, Vermont; his former wife, Ms. Mary Ellen Bender of Pinehurst, NC; and his longtime friend, Kathy Johnson of Raleigh, NC. He is also survived by his grandchildren: Katherine and Samuel Bock, Kaylee Thomas, Zoe Alexandra and Lindsay Garcia. Warren was known for his one-of-a-kind sense of humor. He was a fan of music, particularly classical and sacred. He was an avid reader who enjoyed a spectrum of genres and especially cherished the books of Thomas Merton. Most of all, he loved spending time with his grandchildren. Rev. Bock will be remembered as a loving father, grandfather and friend. He was a pastor and mentor to many as well as a longtime advocate of social justice. A memorial service will be held in his honor at Kirk of Kildaire on February 16th at 10:00 AM. In lieu of flowers, Rev. Bock requested that donations be made to Ebenezer Presbyterian Church, 2900 Ebenezer Church Rd., Coats, NC 27521 or to Kirk of Kildaire Presbyterian Church, 200 High Meadow Dr., Cary, NC 27511. Services entrusted to Boles Funeral Home of Pinehurst. To send flowers or a remembrance gift to the family of Warren LeRoy Bock, Jr., please visit our Tribute Store. "Email Address" would like to share the life celebration of Warren LeRoy Bock, Jr.. Click on the "link" to go to share a favorite memory or leave a condolence message for the family.